When I went shopping last month with the lovely lip queen Akisa of Beauty Swatch, I asked for her recommendation on a few lip products for everyday wear. Today I’ll share with you one of the lip liners she recommended me. A pencil designed for shaping, lining or filling in the lip. Lip Pencils have a smooth, creamy texture that is perfect for lining the lips or filling them in. They are long-lasting and available in a wide selection of colours that each work well with many different lipstick shades. The colour of Lip Pencils is protected by Vitamin E, which acts as an anti-oxidant. Lip Pencils can be worn alone, with Lipstick, or Lipglass. This cool dusty rose colour is an understated pink shade with a brown beige undertone. I detected micro gold shimmers from it when looking closely but this would not visible to others. Dervish is a my-lips-but-better shade, it doesn’t give the distinct line look and enhances lip to give a fuller look without ever looking too obvious. Works well on pigmented lips, even where I have darker edges around my lips, it really evens out the lip tones well. 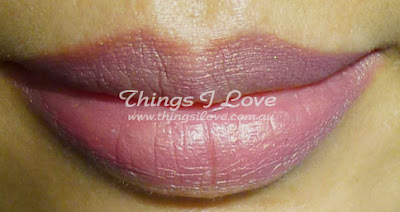 Dervish works well as a soft base for lip glosses, especially those that don’t have a lot of pigment. 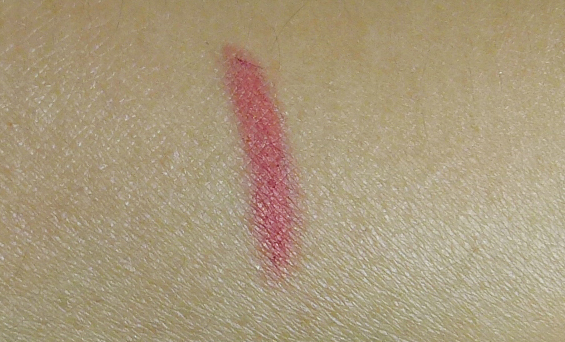 It is a very versatile lip liner and can be used with cool pinks , peachy or brown based lip sticks. The lead is not too hard that it tugs, instead, it glides on easily and last several hours without feeling dry at all. 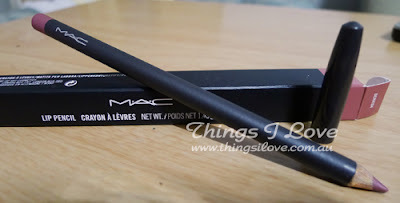 RRP A$30 | US$14 from MAC counters. I bought this for A$18 at the Estee Lauder staff shop. I love the gorgeous rose shade. It is such a shame that MAC is so overpriced in Australia though! I’m having a Make Me An Offer beauty blog sale at the moment. Pop on over and you may just find yourself a bargain.